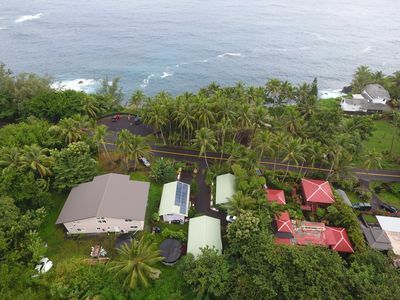 **LISTED FOR SALE** Ka Lani Kai means 'the Heavenly Sea' and it truly is a place that you will remember as sacred, peaceful, and unique. 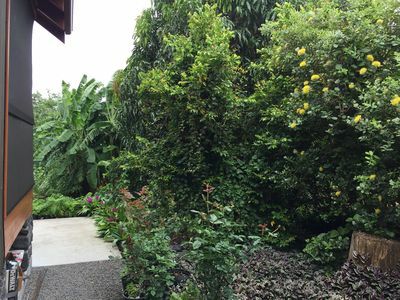 This beautiful island home is nestled among exotic palms and flowering plants and has its own pond (not used for swimming). 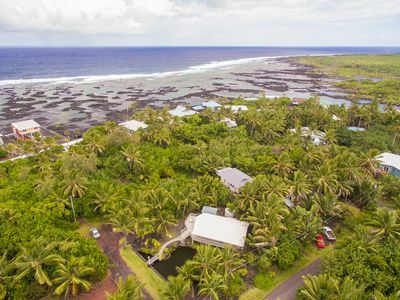 The house is one block from the Waiopae Tidepools Marine Conservation District, where you can enjoy some of the most spectacular snorkeling found on the Big Island. Green turtles love this area because of its warm temperatures. 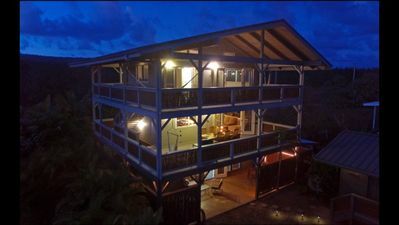 From the house, you can hear the waves and smell the clear breeze blowing across the Pacific (cleanest air in the US). 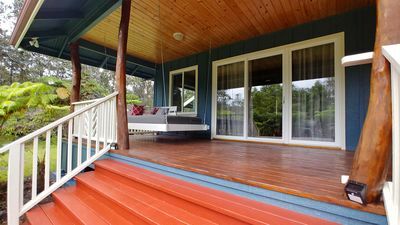 The home is light and airy and has a huge open deck with a built-in BBQ, where you can enjoy a tranquil evening as the sun sets, or sit and gaze at the multitude of stars at night, or enjoy a cup of Kona’s finest in the early morning sunshine. 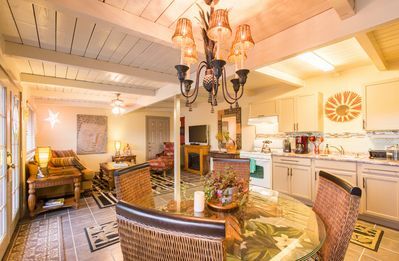 Ka Lani Kai is furnished with all new, quality rattan and teak furniture. 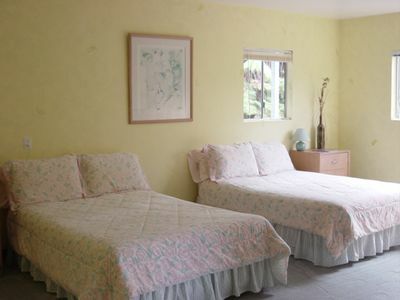 There are two spacious bedrooms and one bathroom; one bedroom has a Queen bed and the other has two twin beds. 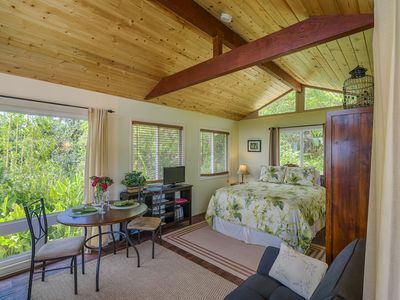 Each room has silent ceiling fans and new windows and screens to enjoy the night breezes and sounds of the ocean. 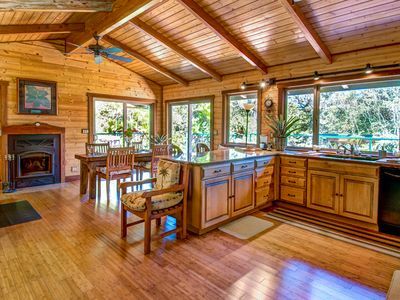 The kitchen is fully equipped with coffee maker, oven/stove, microwave, blender, and cooking utensils. 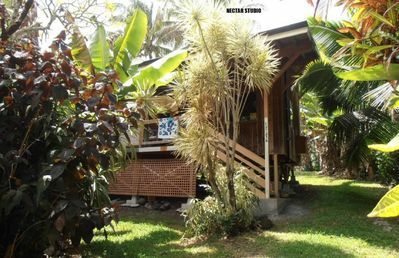 A washer and dryer are provided for your use, as is the satellite TV, VCR/DVD player, telephone (local service only), and linens (including beach towels). We don’t allow smoking inside and we will consider small pets. 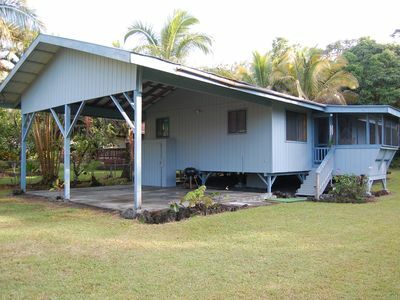 The home is located in the private residential community called Vacationland in Kapoho, 30 miles south of Hilo. 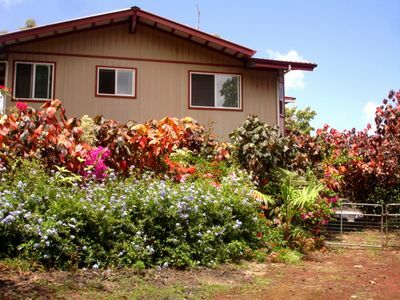 Kapoho is the sunniest spot with the least amount of rain on the east side of the Big Island. 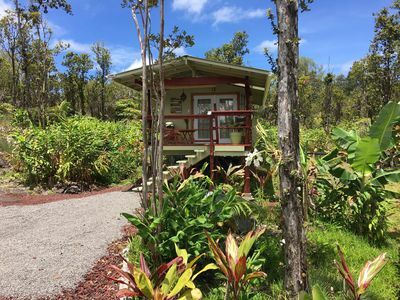 The beautiful Ahalanui Hot Pond is only two miles away, and Volcanoes National Park is approximately 45 minutes away. 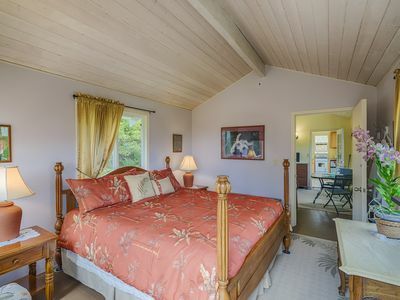 **Guests may be asked to accommodate realtor showings. 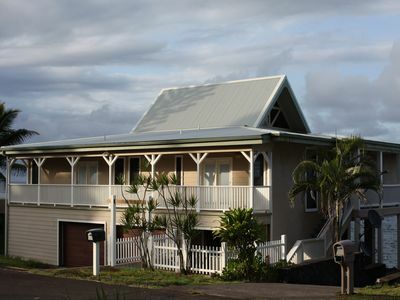 Should the house transfer ownership and no longer used as a vacation rental, all funds will be refunded to the guest. 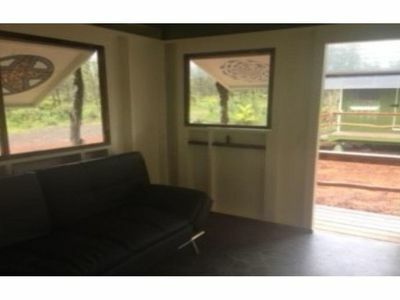 Thus rental is not guaranteed. We highly recommend travel insurance for airline tickets. Please review the details of the travel insurance to confirm your protection in the event this should happen. THE LAVA ERUPTION IS OVER. 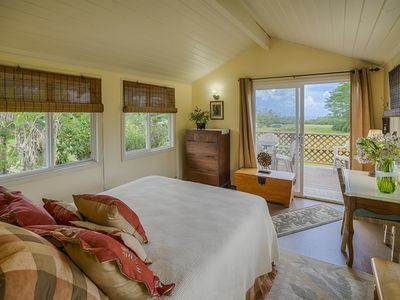 This private cottage is now safe and available. 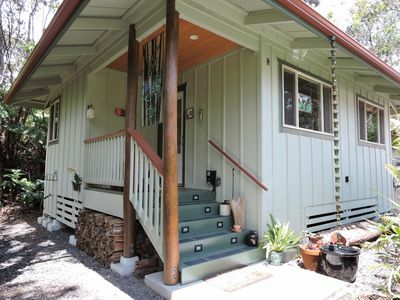 CLEAN and SERENE eco-friendly private cottage! 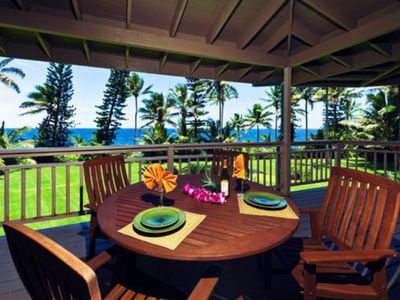 Aloha Hideaway Retreat in Hawaiian Beaches . 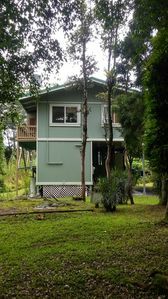 Walking distance to the ocean!